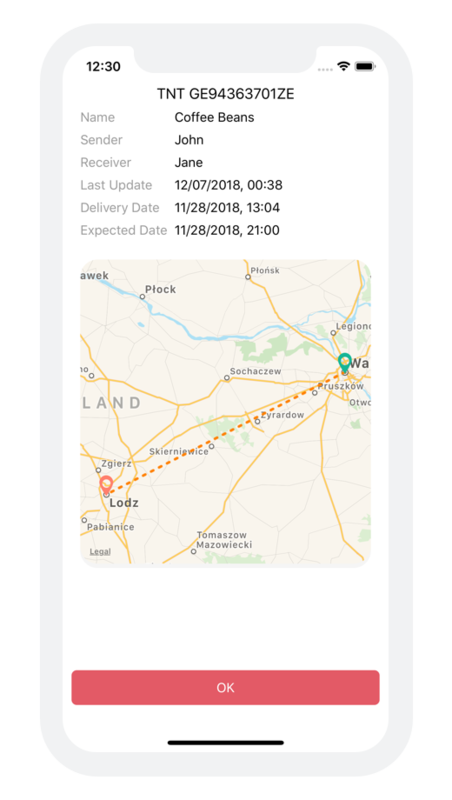 Track and manage your parcels on your iPhone, iPad or watchOS. Find My Parcels will track your parcels with style. Tracking your parcels has never been easier and fun. Program supports more than 300 couriers. Such as DHL, Fedex, TNT, USPS, UPS. Lovely distinct icons for each status. Get each and every detail of your parcel. 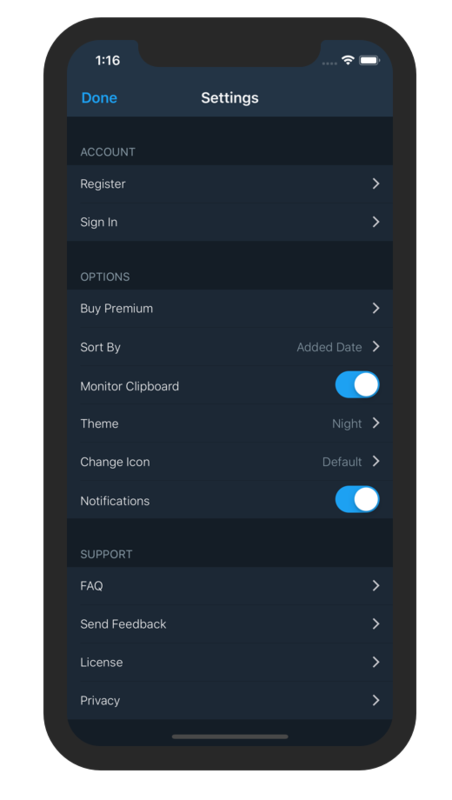 App Supports iPhone, iPad and watchOS devices. 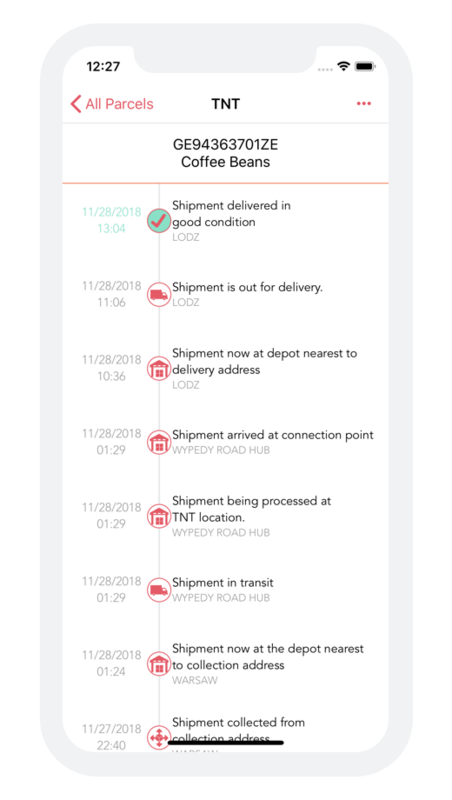 Program will notify you for every status update of your parcels. 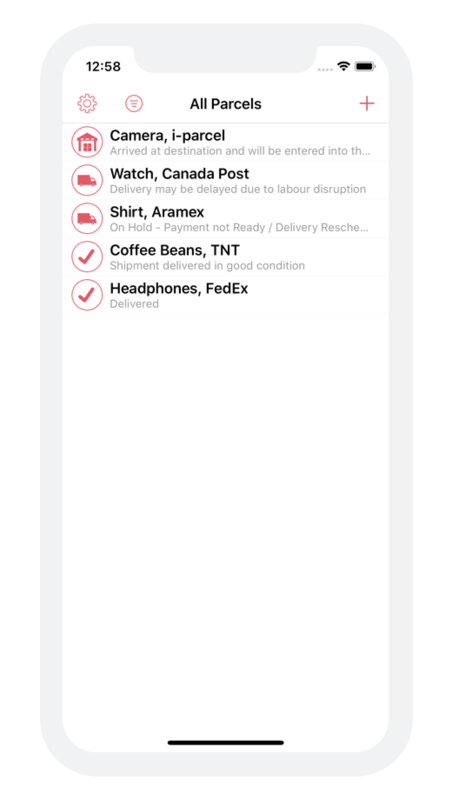 Thanks to its linguistic framework, Find My Parcel app will show relevant icon for every status of your parcel. You will get a better glimpse of your parcels quickly and intuitively. Notifications require premium subscription. Besides every status of your package, you can see the location, sender, receiver and other details of your parcel. If you buy premium subscription, you can check the status of your parcels from your computer as well. Come and join the dark side. Create an account and sync your parcels across your devices. Expect all the extra goodies such as Siri Shortcuts, Home Screen actions, Barcode reader etc.